- MongoDB Validator parameters are not replicated to secondaries. If you use this function, Hackolade will not have access to those parameter for the schema inference process, if you don't read from the primary. Authentication is the process of verifying the identity of a client. When access control, i.e. authorization, is enabled, MongoDB requires all clients to authenticate themselves in order to allow access. 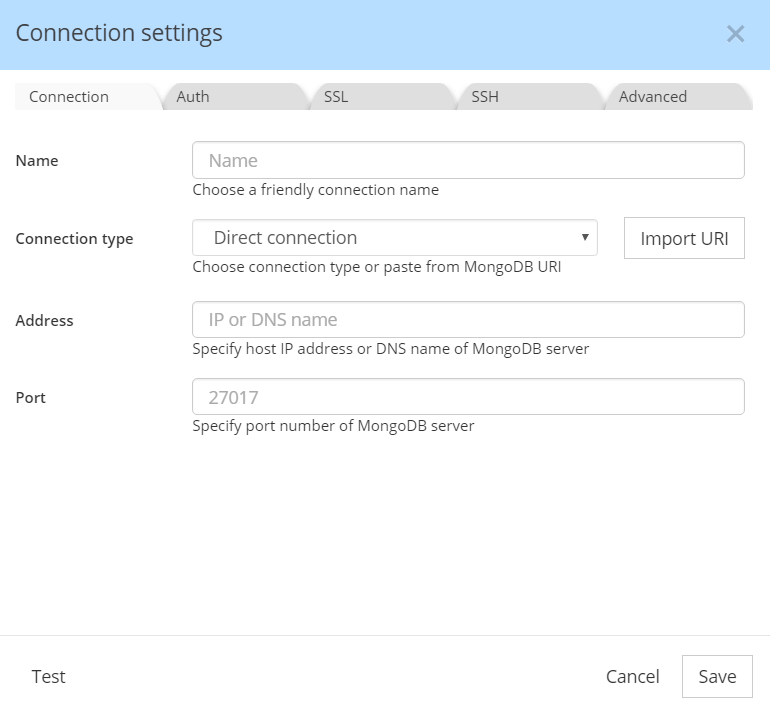 for access to a MongoDB instance in the Cloud, you may need SSH tunneling.